Meeting of Caricom, February 26-27 in St. Kitts-Navis reiterated their rejection of outside interference in Venezuela. 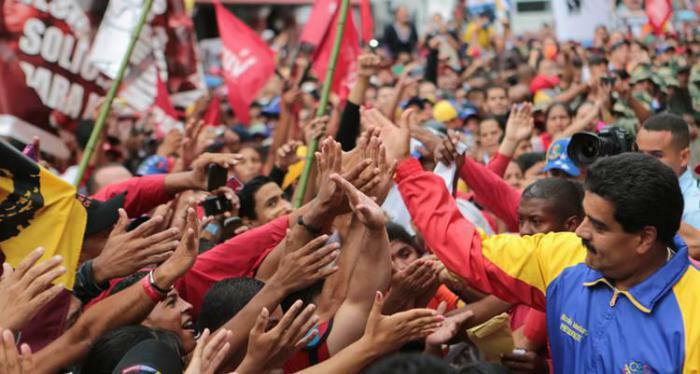 The Revolutionary Government strongly condemns the sabotage perpetrated against the Venezuelan electrical power system, which is a terrorist act intended to harm the defenceless population of an entire nation, and taking it hostage in the non-conventional war launched by the government of the United States against the legitimate government headed by comrade Nicolás Maduro Moros and the civic and military union of the Bolivarian, Chavista people. On Sunday, March 3, the CBC ran a tendentious and manipulative article making slanderous claims about the relations between Cuba and Venezuela. The Ambassador of Cuba to Canada HE Josefina Vidal, sent the CBC the following fitting reply. I reject categorically and in the strongest terms the tendentious and manipulative article “Canada at odds with Cuba ‘ally’ over Maduro’s fate”, written by journalist Evan Dyer and published today, Sunday, March 3, 2019, by CBC News. No to war in the name of humanitarianism! Eighty per cent of New Orleans was inundated when levies broke during Hurricane Katrina. Venezuela and Cuba immediately offered aid to the American people in response to Hurricane Katrina, which struck Louisiana, Mississippi and Alabama just over 13 years ago at 6 a.m., August 29, 2005. Through the prism of time we can better understand the humanitarian principles, ethics and morality – or absence thereof – guiding the response of the three countries to such a natural disaster, which became one of the most infamous social disasters in the modern history of the United States. It is of particular relevance to an understanding of how an imperial power today morbidly vilifies the two smaller countries as monsters for the crime of refusing its militarized “humanitarian aid” and affirming their dignity and sovereignty. Demonstration in Edmonton, February 16, 2019, one of many across Canada condemning U.S. plans for military intervention and the despicable role of the Canadian government in supporting it. An act of support for terrorism qualifies the words of U.S. President Donald Trump, to the Venezuelan terrorist Oscar Pérez, an ex-policeman who shot and threw grenades against two public buildings on June 27, 2017 – after robbing a helicopter of the Venezuelan scientific police, and then carried out other acts of a terrorist nature.